House has always been difficult to like. That's kinda his thing. He's brilliant, but he's also socially maladjusted, and his intelligence often manifests itself as a desire to needle people right where he knows it hurts. But there's a line he needs to avoid crossing, and it's one the show needs to keep in mind. I can't pinpoint it exactly. It has something to do with the audience's investment in the character. If we believe that House can change, than we're willing to put up with a lot, but that only goes so far. 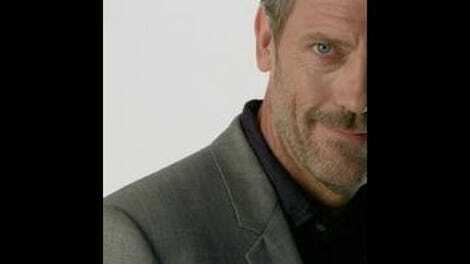 It's been eight years, House is, if anything, worse than he was in season one, and yet the show keeps selling that same old narrative about him pushing people away while still needing them close at hand. It needs to find ways to keep this exciting, so we get Increasingly Dickish House. "Transplant" allows him a few moments of grace, but for the most part he's pushy, rude and unpleasant, and his jokes aren't particularly funny. And there's no place for this story to realistically go anymore. Watching other characters punish House for his bad behavior has a certain karmic appeal, but it's not much fun to watch. So parts of "Transplant" were rough going. It's good to be out of the prison, and it's fun to see Foreman as Dean of Medicine in Cuddy's absence; there was some minor mystery as to who would replace her when it was announced Lisa Edelstein was leaving the show, but in retrospect, Foreman isn't so much an obvious choice as an inevitable one. And hey, it actually gives him a not entirely depressing arc and a clear station of authority over House. "Transplant" also introduces a new doctor for our hero to torment, Dr. Chi Park, a bashful, somewhat nervous new protege essentially filling the character-type first created by Amber Tamblyn last season. I don't actually know much about Charlyne Yi, but she's fine here, and I don't have any real objections to her sticking around for a while. Chase, Taub and 13 are gone, and while I wouldn't be surprised if any or all of them pop back in at some point (although Olivia Wilde won't ever be a regular on the show again, as she's all famous now), there's something refreshing about having the board swept clean yet again. I'm sure our new characters (because Dr. Pretty Doctor is going to come looking for a job soon enough, I'm sure) aren't going to be amazing or anything, because this show doesn't really do amazing anymore. But at least we get to enjoy the new car smell for a while, instead of having to face Taub's double baby woes or Chase's, well, whatever the hell was going on with Chase. Plus, we stand a chance of having a supporting team with two female doctors in it, and that would be cool. The premise, as it were: Foreman visits House, who's currently serving out the extra eight months that were tacked on to his sentence after his adventures last week. Foreman makes an offer. He has a special case, one that suits House to a T, and he can get House out of jail, provided Greg doesn't burn every bridge on the way to Plainsboro. Once House is out of jail, there are a few mentions of his imprisonment, and at one point, he reveals he's wearing an ankle bracelet that limits his mobility, but his movements don't seem hugely impeded. Prison is left behind with a fair amount of ease, and House is reinstated in his old office, with his old stuff, by the end of the hour. The case is a decent one: House needs to treat a pair of donor lungs to make them transplant worthy in time to save one of Wilson's patients. It's a little odd, but nothing all that unusual, and there's very little sense throughout the episode of House having to fight a tremendous uphill battle to re-integrate himself into the hospital. Oh sure, he's missing his chair and his whiteboard (given that his whiteboard helps him solve cases, it's a little silly that Foreman wouldn't provide him with one), but it's all a bit silly to think that after driving his car through someone's home, he'd be able to pick up his medical career roughly where he left it after doing some jail time. Especially seeing as how Plainsboro's last Dean of Medicine happened to be the owner of the home House drove into. It speaks to the perfunctory "let's get everything re-established" vibe that runs through the entire episode, and while normally I'd use "perfunctory" as an insult, here it makes a certain amount of sense. This is the eighth season, and there's no reason to waste time pretending that House isn't going to go back to Plainsboro, or that he isn't going to practice medicine again. This isn't strictly realistic, even if the medical words sound appropriately scientific, and any pretense that the show was going for deep drama is long gone. We are, at this point, simply marking time, and it's a point in House's favor that everyone involved seems to recognize this. It's especially telling how easily House manages to get back into Wilson's good graces. Last week, I predicted we'd have to suffer through a lot of Wilson lectures and cold shoulders and House trying to argue his way into friendship, and while that does happen in "Transplant," it goes down more easily than I was expecting. At first, I thought this was going to be a problem. At the start of the episode and for much of its running time, House is firmly in Jerk Mode, and it seemed difficult, if not impossible, to imagine him somehow proving to Wilson he deserved another chance. But then that's basically what happens, and you know what? I'm totally okay with it. House saves the day, gets Wilson's patient her lungs, and also gives Wilson the right advice to ensure that patient stays alive long enough to receive those lungs. So Wilson punches him, and then everything is cool again. The scene works, too. At this point, there's no way House is going to make up for all the dead spots and bad storylines. But when it just relaxes and lets the the central ensemble play off each other, it can be enjoyable enough. While that may not sound like the heights of artistry, "enjoyable enough" isn't a bad place for a show that's been on this long to be. I almost wish House had stayed stuck in the smaller office longer. Yi's temper is a little scary. "Prison! Sorry, I thought I heard everyone else think that." "Did you use metaphors for your old team, or do you just think I'm particularly stupid?"